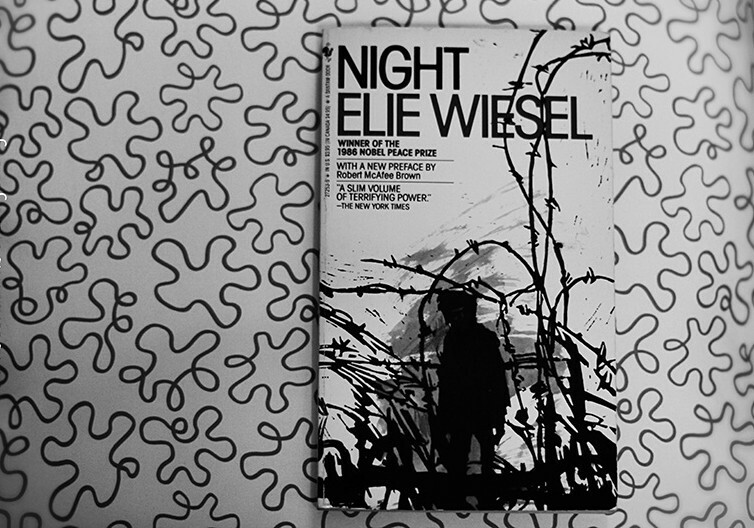 The original “Night” by Elie Wiesel is a puzzle for discriminating readers. The pieces to the puzzle of Elie Wiesel and his book Night will never come together to form a coherent image. Readers and critics have long puzzled over the nightmarishly grotesque events that Wiesel presents as real, and refuses to repudiate. But he has actually given us the explanation all along—it’s just that it’s one so many don’t want to believe. Notice that he first says he is writing “literature”2, not faithful accounts of his own experience. Next, we understand that by withholding his blessing, the noted Hasidic rabbi conveyed he was not pleased with the evasive answers of the Hasidic Jew Elie Wiesel. Wiesel himself says his answer to the final question was “not too convincing.” And finally, since Wiesel admits that he writes about things that never happened as being true, we can’t even be sure that this event happened, can we. This is the problem with everything in the life and work of Elie Wiesel. What are we to make of this? Truth loses all meaning; Wiesel acknowledges he tells tales that he wants you and me to believe really happened when he himself knows they didn’t. He doesn’t apologize either. He justifies. He deflects the rabbi’s sharp moral denunciation with his own measure of pseudo-mystification, in spite of the fact that his rebbe sees through him. And that is the way he is with the public too—even though it is understood by the intelligent critics that he is writing fiction, he keeps up the “witness” pretense for the gullible and the young. There you have it—Wiesel’s method. He makes it up! And the overarching purpose of his efforts is to contribute to the well-being of the Jewish State of Israel. To Wiesel this is the greatest cause of all, for which he offers his writing ability to contribute to the “Holocaust” stories that are so crucial to Israel’s success. 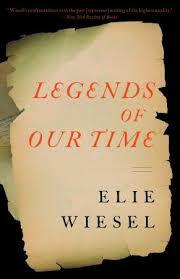 In this, Wiesel has joined a horde of other Jews who do the same, copying from one another, but no other “witness testimony” has had the impact of Night. It should be understood that Wiesel has been a fervent Zionist since his youth—well before the deportation of Hungarian Jews. His whole family were Zionists, and his Father, according to Elie in several books, had spent time in a Budapest jail for involvement in smuggling operations, sending Jews, money, and probably weapons to Palestine. Then he adds how necessary it is to have witnesses—all the time and everywhere! Sure, because the Soviet-Jewish-originated ‘Holocaust’ narrative, made up of outlandish events that never occurred, many of which Elie continues to insist did, needs witnesses to make it seem believable. It needs witnesses who cannot be easily doubted, so Wiesel paints all “survivors” as saints and martyrs who could not possibly make up the horrendous stories they tell. Elie is one of these martyrs. It’s true, one of the most common questions one hears is: What reason would they have to lie? “A person would not lie about this kind of thing,” says charles, a commenter to this site. I’ve heard and read that many times. Yet, Elie Wiesel admits that he does! He just doesn’t call it a lie—but a lie by another name is still a lie. And many others have been caught at it: Fragments by Binjamin Wilkomirski, Angel at the Fence by Herman Rosenblat, Misha: A Mémoire of the Holocaust Years by Misha Defonseca, the Ovitz dwarf family’s story, to name just four that are well known. How did I become a writer? What was it that drove me to […] the role of storyteller. […] Everything hinged on chance, Birkenau, Auschwitz, Monowitz-Buna, Buchenwald: that very first night I might have joined the procession of old men and children.4 I might have remained in one camp and not reached the next. I might have passed through all four and followed my father into icy nothingness before the end of night. Liberated by the American army, ravaged by poisoned blood, I might have succumbed on a hospital bed, a free man. After being reunited with my comrades I might have missed the children’s transport leaving for France; I might have gone back to Translvania or elsewhere, done other things. I might have engaged in or endured other battles. Yes, as a storyteller he has control and could have told it other ways, or not told it at all. Remember, true stories need not have actually taken place. In the first essay of A Jew Today, titled “To Be a Jew,” he tells a story of the hated “other” that he swears is true. Naturally, this little boy felt at ease only among his own people, in his own setting. Everything alien frightened me. And alien meant not Moslem or Hindu, but Christian. The priest dressed in black, the woodcutter and his ax, the teacher and his ruler, old peasant women crossing themselves as their husbands uttered oath upon oath, constables looking gruff or merely preoccupied—I understood and considered normal, and therefore without remedy. I understood that all these people, young and old, rich and poor, powerful and oppressed, exploiters and exploited, should want my undoing, even my death. True, we inhabited the same landscape, but that was yet another reason for them to hate me. Such is man’s nature: he hates what disturbs him, what eludes him. We depended on the more or less unselfish tolerance of the “others,” yet our life followed its own course independently of theirs, a fact they clearly resented. Our determination to maintain and enrich our separate history, our separate society, confused them as much as did that history itself. All I knew of Christianity was its hate for my people. Christians were more present in my imagination than in my life. Painful irony: We were chased from country to country, our Houses of Study were burned, our sages assassinated, our school-children massacred, and still we went on tirelessly, fiercely, praising the inviolate sanctity of life and proclaiming faith in man, any man. All this was really so. The small Jewish boy is telling only what he heard and saw, what he lived himself, long ago. He vouches for its truth. Yet truth is malleable to the Jewish storyteller—like God, he forms the clay according to his pleasure. The God of Abraham is all-powerful and a worker of miracles. When Wiesel refers to Jewish “spirituality in a world that denies spirituality” he’s referring to these very contradictions that Jews allow each other, but Gentiles call lies. Night was classified by its publishers and booksellers as “literature, fiction, novel” from 1960 until 2006 with no objection from the author. Yet Wiesel confidently swears to this lie on the witness stand in a US court of law two years after his book was switched to “autobiography” – no doubt because he has convinced himself that things which never happened can be more true than things that did happen. Or, in other words, truth is in the eyes of the teller. Un di Velt hot geshvign, Page 213: (Speaking of Jan. 1945) I was fifteen years old then. Do you understand—fifteen? Is it any wonder that I, along with my generation, do not believe either in God or in man; in the feelings of a son, in the love of a father. Is it any wonder that I cannot realize that I myself experienced this thing, that my childish eyes had witnessed it. I assume that with that question the student hoped to get Wiesel to show his tattoo, but no luck. Apart from the fact that he told the student a lie about having the number tattooed on his arm, the rest of his statement is not factually true either. Yes, the inmates had a number just as in every detention or prison facility anywhere in the world. But their names were still known, and they might be addressed by their name, also, depending on the circumstance. [They were not tattooed at Auschwitz to replace their name with a number, but as an identifying mark in case of escape.] And since they were selected for work based on their history and abilities, their identity and history had to be known. Plus, all the documents from the camps included their name, birthdate and sometimes the name of their parents. Wiesel’s purpose for saying they were only numbers is not to testify to actual life in the camps, but to gain sympathy for Jews and condemnation for Germans. Two things here. It again says it was April, not May, when the Jews first learned they would be deported. It confirms the passage on page 83 of the Yiddish book: “It was a beautiful April day,” stated about one of their first days in Auschwitz-Birkenau! The second thing—it is not true the Jews of Sighet still knew nothing, which is what Wiesel writes in Night. 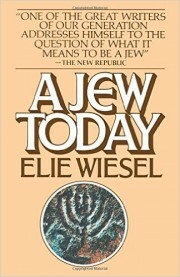 In his later real memoir he tells us that non-Jews offered the Wiesel family places to stay. Their Christian maid Maria begged them to come to her village and she would keep them safe. How many Jews may have taken advantage of those offers? But Shlomo Wiesel refused to accept this kindness of Christians, and Elie’s only explanation is that they still didn’t believe the stories they were hearing. Then he blames the world for not warning them! Elie describes it in more detail in his autobiography, All Rivers Run to the Sea, on page 63 and 68-69. I’ll now return to the book One Generation After mentioned above [copyright 1965, 1967, 1970, and 2011 by Elie Wiesel] and the new introduction he wrote for it in 2011. Here we find some of the more exaggerated of his prose continuing to be put forward, not just back in the past, but as recent as 2011. He is standing by the wild statements and grotesque images that he first conjured up in the 1950’s. When speaking about that era of darkness, the witness encounters difficulties. […] For there are no words to describe what the victims felt when death was the norm and life a miracle. As I have said many times: Not all victims were Jews, but all Jews were victims; for the first time in recorded history to be born a Jew became a crime. Their birth became their death sentence. Jewish children were condemned to die even before they were born. What the enemy sought was to put an end to Jewish history; what he wanted was a new world, implacably, irrevocably devoid of Jews. Hence Auschwitz, Ponar, Treblinka, Belzec, Chelmno, and Sobibor: dark factories of death erected for the Final Solution. Killers came there to kill and victims to die. and theologians, politicians and artists; a place where to lose a piece of bread meant moving a step closer to death, and a smile from a friend, another day of promise. At the time, the witness [EW] tried to understand; he still does not: How was such calculated evil, such bottomless and pointless cruelty possible? Had Creation gone mad? Had God covered his face? A religious person cannot conceive of Auschwitz either with or without God. But what about man? How could intelligent, educated, or simple law-abiding citizens fire machine guns at hundreds of children and their parents, and in the evening enjoy a cadence by Schiller, a partita by Bach? And now, sixty years later, the entire world listens to the words of the witness. Like Jeremiah and Job, we could have cried and “cursed the days dominated by injustice and violence.” We could have chosen vengeance. We did not. We could have chosen hate. We did not. But it is not too late for today’s children […] for their sake that we are duty-bound to denounce anti-Semitism, bigotry, racism, and religious or ethnic hatred. Those who today preach and practice the cult of death, using suicide terrorism, the scourge of this new century, must be condemned for crimes against humanity. But … will the world ever learn? Ah, Wiesel’s favorite ending, putting himself in the morally superior position to “the world.” Also notice that he has gone from the German enemy to the Palestinian and Arab enemy. And that he “denounces” anti-Semitism first, though it is a part of the other three so doesn’t need to be specifically mentioned at all. At Auschwitz one breathed contempt and indignity; a crust of bread was worth more than divine promises, a bowl of soup transformed a sensitive human being into a wild animal. An anecdote which contains a part of truth: in dealing with the victims, in an effort to break their morale before annihilating them, the executioners assumed the role of God. They alone could, by decree, proclaim the limits of good and evil. Their idiosyncrasies were law and so were their whims. They were above morality, above truth. Notice that Wiesel invents greater cruelties than ever existed in the camps, such as a desire to break the inmates’ morale before killing them. There can be no reason for this other than pure viciousness. Indeed, this is what Wiesel wants his readers to believe about the Germans because it’s the only acceptable explanation for this educated people’s wholesale rejection of Jews. Since Jews are held to be blameless, it had to be the madness of those who had succumbed to anti-Semitism, bigotry and racism, with no other serious explanation ever considered. 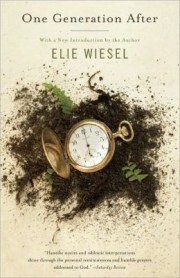 This book, One Generation After, is typical of most of Wiesel’s books. He repeats the same themes over and over; one finds even the same wording in passages he has taken from earlier books. His favorite themes are Jews and Jewish history, his Jewish childhood with Jewish relatives and rabbis, the Jewish Holocaust, Israel and his great affection for it. He also likes to write about the depravity of the Germans of the Third Reich. You really have be a firm believer that the Shoah was just as he says it was to be able to connect with his writing. Once you learn that most of what he writes is not true, it loses its fascination and becomes tiresomely repetitive. When we understand and accept that Wiesel is not telling the truth—that he is not recording what he actually saw and heard at all, but is writing literature in support of Israel and Jewish profiteering—then we are free from the exaggerated guilt that Elie Wiesel’s writing heaps upon us. Since he has disqualified himself by his answers to the Rebbe of Wizhnitz, it’s our duty to bring this to the attention of as many others as possible in a serious way. For when a man says and writes things that could not possibly have happened but insists they’re true and gets a Nobel Prize for it, that’s no joke. What’s interesting is that Wiesel has never tried to hide his words to the rebbe—as though it is not a failing at all. I’ve come to believe that it has to do with being a Jew. “To be a Jew is precisely to reveal oneself within one’s contradictions by accepting them,” he wrote in his essay “To Be a Jew.” The Kol Nidre prayer is another example of being a Jew. Has Elie Wiesel here revealed the secret weapon for Jewish success? – it being their fantastic ability to tell lies – to accept contradictions – and call it spirituality? 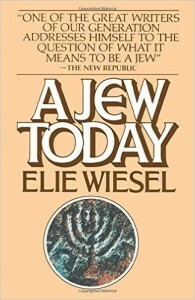 Elie Wiesel likes to portray Jewishness as an embrace of a superior spirituality that Goyim are too dense to appreciate. But “To each his own” and also “Oil and water don’t mix.” Jews are the oil and always rise to the top. For we Occidentals, how we view truth is the essence of who we are. We know the difference between true and false just as we know that 2+2=4 by just being able to count. We’re a light-loving scientific people more than a mystical-minded people and we don’t function well when confused by the Oriental slant of the Jewish mentality. We do have the right and duty to experience our own world view and our own natural understanding in our own way. That means we should no longer allow ourselves to be trapped in a Jewish world view … such as the Old Testament and the Talmud. Or Holocaust literature. A separation from Jews and their lies is what we need. 1. All Rivers Run to the Sea, Memoirs, Elie Wiesel, Knopf, 1995, page 275. 2. Literature: n. American Heritage Dictionary: Imaginative or creative writing, especially of recognized artistic value. Merriam-Webster dictionary: written works (such as poems, plays and novels) that are considered to be very good and to have lasting importance. 4. Referring to his tale of seeing old men and children being forced into a pit of fire on the night he arrived at Birkenau. He has later said he is not sure that he was dreaming, but no, he insists he saw it. Along with a truckload of Jewish babies being thrown in. Night, Marion Wiesel translation, 2006, pages xiii-xiv. 5. Source: Superior Court of California. County of San Francisco. Before the Honorable Robert Donder, Judge Presiding, Department Number 23. People of the State of California, Plaintiff, vs. Eric Hunt, Defendant. Testimony of Elie Wiesel, July 8, 2008, p. 7.